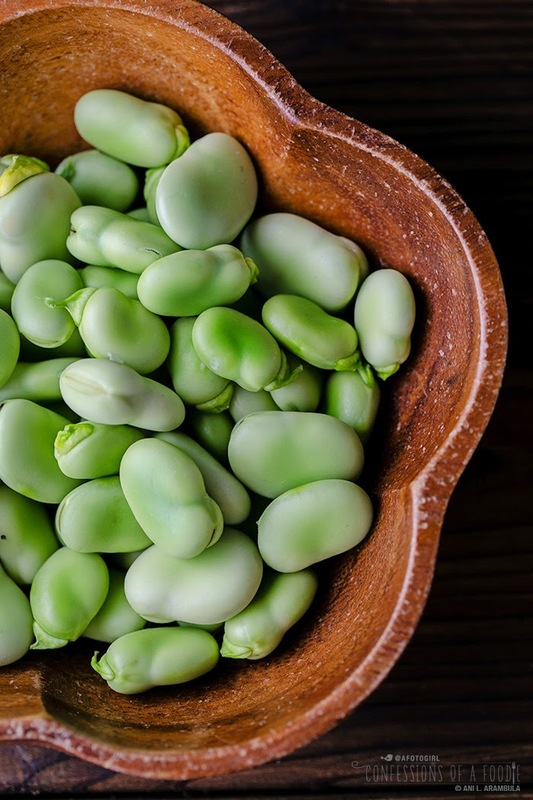 A how-to video tutorial to shell fava beans, remove them from their pods and cook them just long enough to soften and remove the waxy skin from the bean. 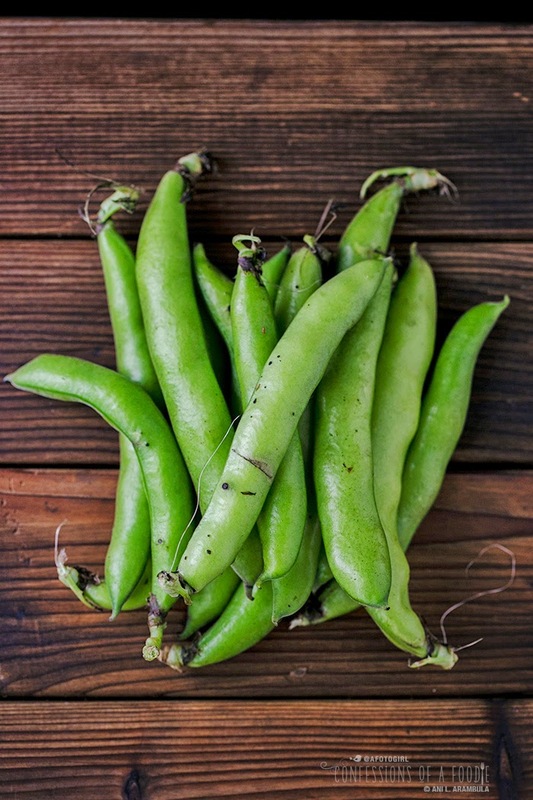 Spring means it's time for fresh fava beans and in this quick video tutorial, I show you how to shell them so they're ready to cook and add to your favorite recipes. I love spring. I love the time change, pushing the twilight hour back to a time when I can actually be off from work and able to enjoy it. I also love the colors that spring brings along with it: the jacaranda trees in our neighborhood are overflowing with their gorgeous lavender blooms, raining their color onto the sidewalks. And I love the vegetables. 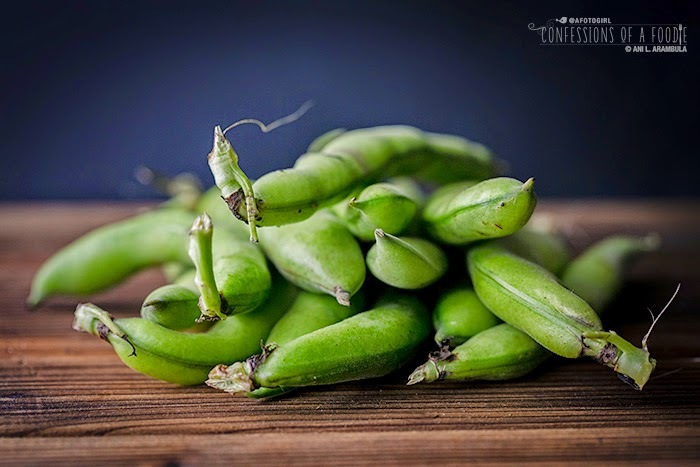 Like the subject of today's post: fava beans. They're exploding at farmer's markets right now. And if you've never cooked with them from fresh, you're in for a treat! Besides tasting great, they are a nutrient dense food. High in the B-vitamin family (folate, thiamin, B-6), they're fat free and cholesterol free making them an excellent choice for lean protein (just be sure to eat some vitamin C to help with protein absorption). They also are rich in iron, copper, selenium, zinc, magnesium, and dietary fiber. A half cup serving is only 85 calories, with a glycemic load of 6.5, 12 grams of net carbs (only 1.5 grams of sugar), and 7 grams of protein. Fava beans take a little work. 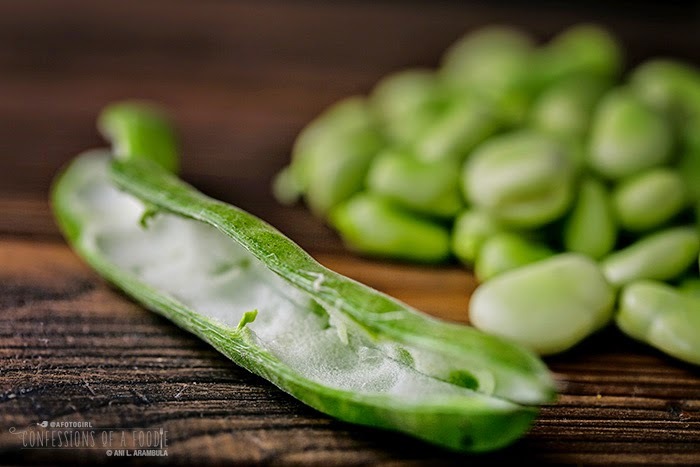 They need to be removed from their pods, then boiled for a few minutes to soften their tough waxy skin which also needs to be removed, revealing the tender, vibrant green broad bean at it's center (small, young beans don't necessarily need to be peeled before consuming). Trust me, they are totally worth the work. Do you live in San Diego? Don't have a CSA yet? I've tried a few and I am happy to have finally settled on one that I love and look forward to receiving. I order mine every other or every third week (totally customizable!) from Speciality Produce. It's $20 and the freshness and variety has been great. I love getting fruits and vegetables that I know are locally grown and that, often, I'm less familiar with. It gets the creative juices flowing and pulls me out of food ruts. 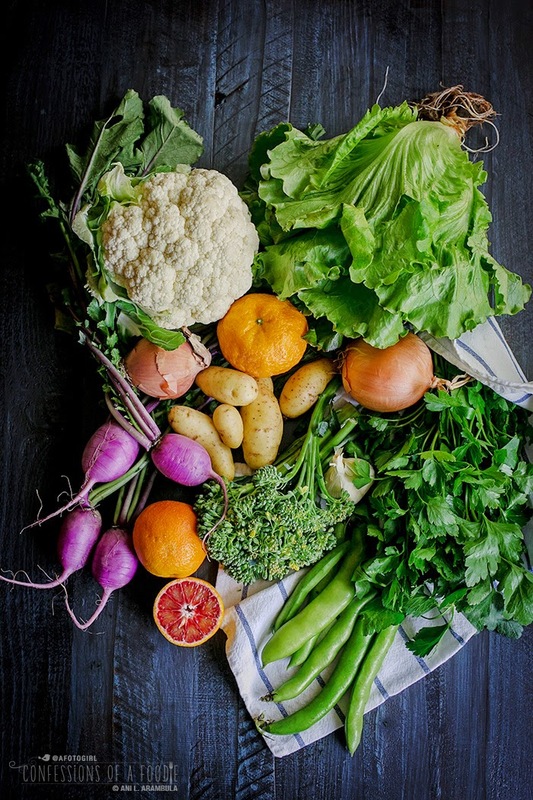 Get the details on how you can sign up for your own Farmer's Market box over at the Speciality Produce website. Please note that boxes must be picked up at the facility on Hancock Street. Disclaimer: As part of Specialty Produce's Blogger Network, I receive a discount on my box. All opinions and recipes are, as always, my own.